Be surprised by the ample amount of space that this home offers! Find the owners suite and 3 additional bedrooms on the main level, and two more bedrooms in the basement! 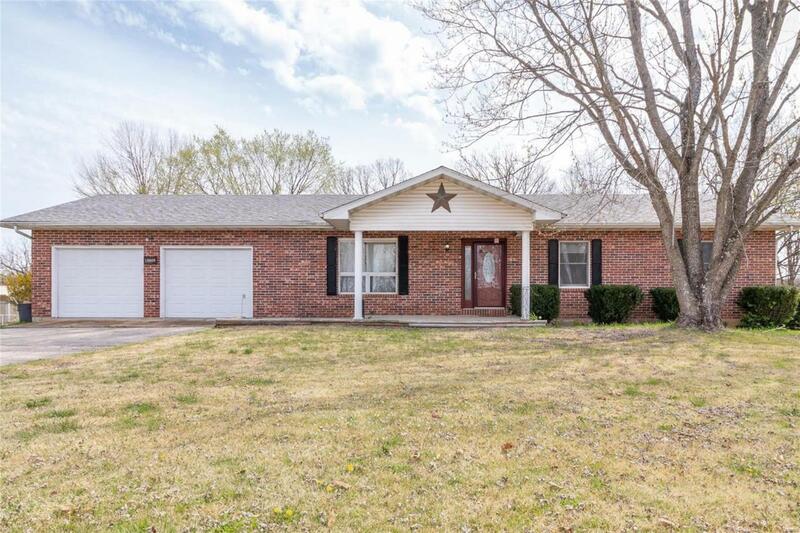 This brick and vinyl home boasts a two car garage, large family room with access to the screened deck, a recreation room, and another den in the basement that can pull double duty as almost anything! The laundry room is on the main level for easy use. Entertain on the large composite deck or tie a hammock out this summer and enjoy your own wooded wonderland! Sitting on a HUGE lot, this home is ideal for anyone who enjoys the peace of living out of city limits! You will be hard pressed to find this amount of space for this price again! Call today for your private showing. Sq. ft. and dimensions are approximate.